This topic contains 1 reply, has 1 voice, and was last updated by Yilia 1 year, 1 month ago. 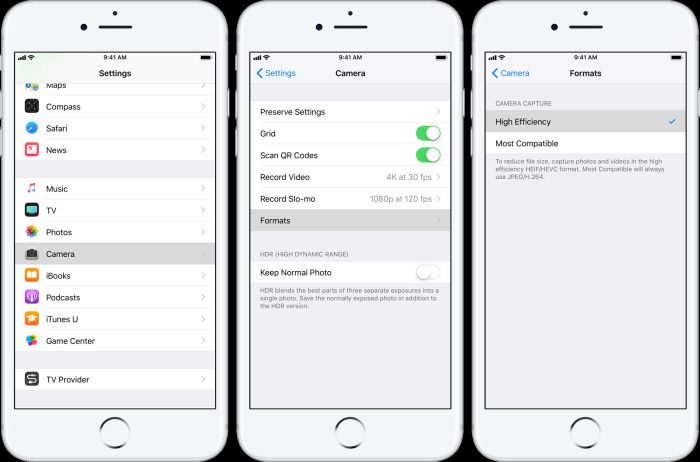 As Apple updated iOS to new iOS 11, the photos in the new iOS are all saved as HEIC format, which will provide you better quality and much smaller size. However, everything has two sides. People like HEIC photos and are impressed by its high quality; they are also troubled by the HEIC compatibility issues because most devices and image viewer apps don’t support this new format currently. We have to save HEIC photos as JPG format to view successfully with other devices. Here are some tips on how to keep HEIC as JPG format. You can as well change your automatic transfer setting to always move pictures from iPhone to a mac or computer in a JPG format. Follow this instruction; Settings>Photos>>select Automatic under Transfer to Mac or PC. Sometimes, we only need to convert several photos to JPG format. 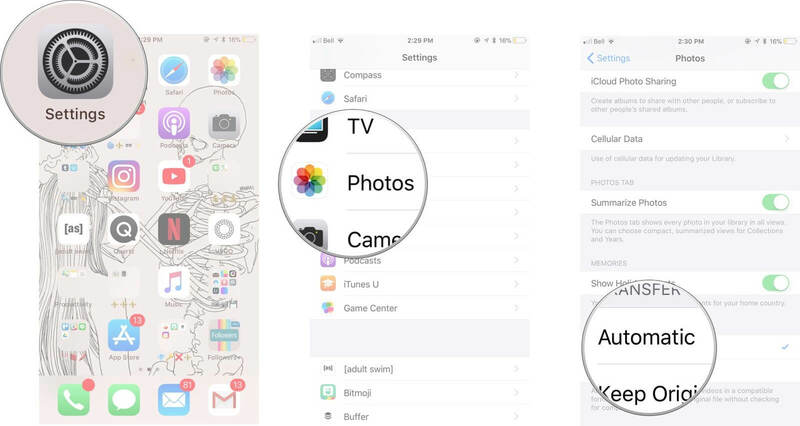 Then I suggest you can find a third party HEIC to JPG converter tool, like Joyoshare free HEIC converter, amazing HEIC converter, iMyphone and so on. Just as you said, there is some local support from Apple. However, it can only be practical for the images saved at a later time. For the existing images, we also have to turn to heic to jpg converter for help. The heic converting tools you mentioned are popular and widely-used by majority of users. One of that is Joyoshare HEIC Converter. I like it! What let me appreciate this wonderful tool “JoyoShare” is that it can recognize all types of HEIC images with ease. But iMazing and iMyFone cannot do it without hassle.